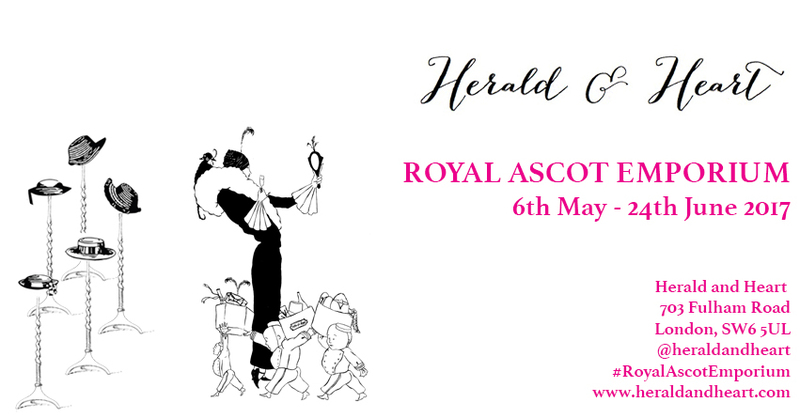 Herald and Heart is opening its doors for the first Royal Ascot Emporium from Saturday 6th May until the 24th June. The event will take place at 703 Fulham Road, London, SW6 5UL and will feature up-and-coming milliners as well as London Fashion Week tested designers. 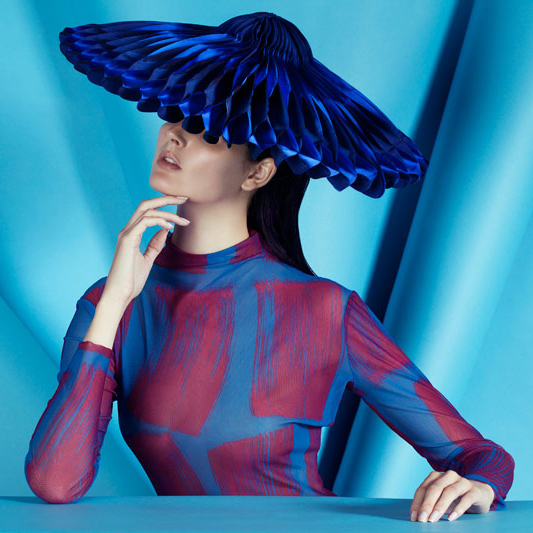 Featured milliners include Awon Golding Millinery, The Season Hats, Camilla Rose Millinery, Monique Lee Millinery, Julian Garner Headwear, Giulia Mio Millinery, Louise Georgette Millinery, Toco Fashion, Eliza K Millinery, Miss Mirshka Millinery, Donna Hartley Millinery, Jane Corbett Millinery and last, but not least Herald and Heart. Herald and Heart is set to become THE shopping destination for Royal Ascot aficionados. 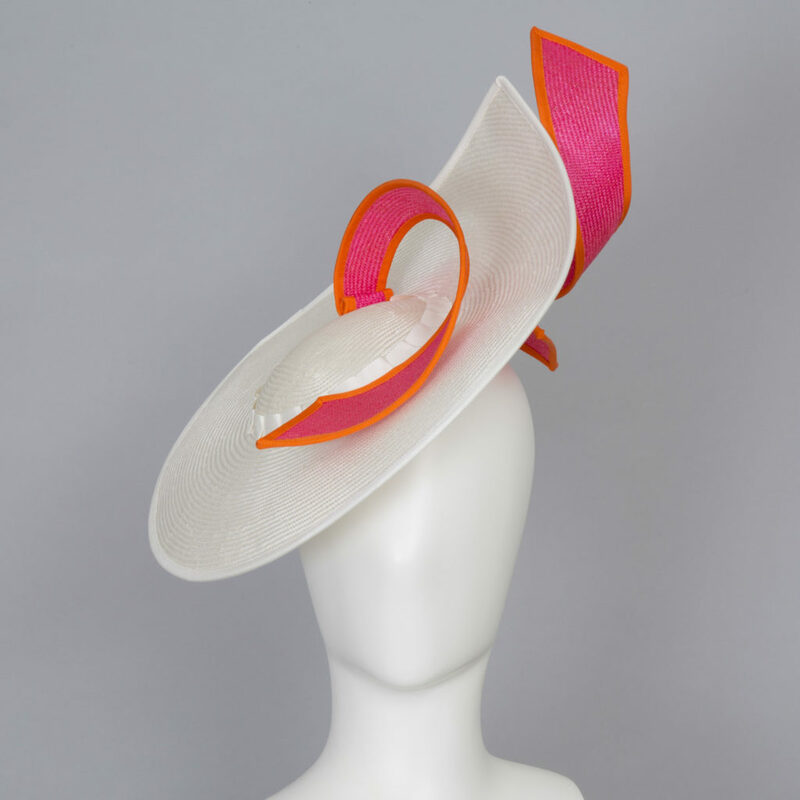 It is rare to have such a high calibre of milliners as well as exciting emerging designers in showroom. Customers are invited to bring their outfit, take a selfie in front of the flower wall and have a one-on-one consultation with our in-house milliner to find the perfect Royal Ascot hat. Royal Ascot is most glamourous event in London’s sporting and social calendar, and the five-day event is all about fast horses, fancy outfits and gravity-defying hats! It is the place to see and be seen, to rub shoulders with high society and enjoy a glass a bubbly whilst watching the races! Jane Corbett, has twenty years’ experience in the field and is renowned for her expert skills, eye for clean design and exquisite detail. Jane’s hats can be found in Harrods, Hello’s list of HRH The Duchess of Cambridge’s ‘Most stylish hats to date’, The Royal Enclosure, Ascot. 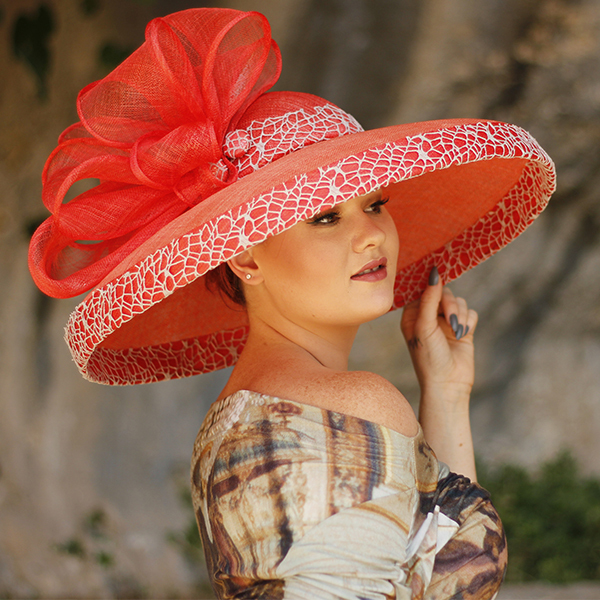 Based in the mountains of Murcia Spain; Donna and Joanne design and make hats and tocados for special occasions. 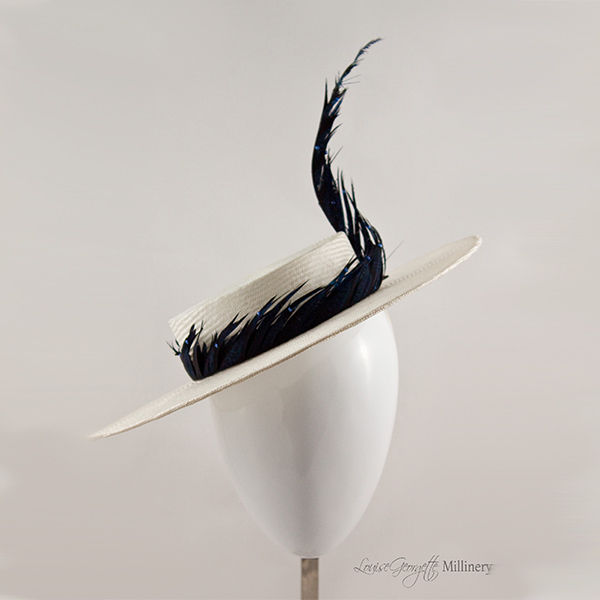 Together with Donna’s 20 years plus millinery experience and Joanne’s artistic flare they create beautiful and sophisticated pieces which are appreciated throughout the world. 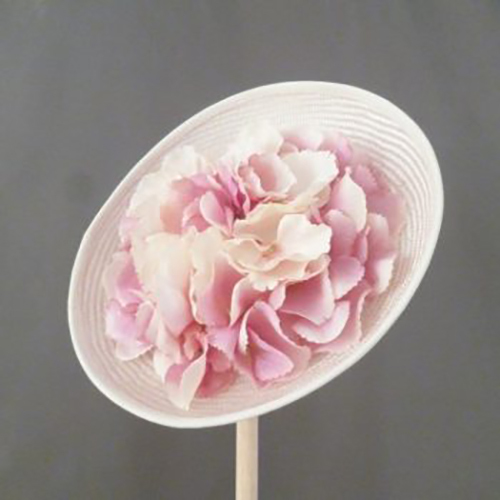 Kate trained as a milliner undertaking City and Guilds in millinery. Following her passion for history and architecture, Kate draws on these references and designs in order to focus on linear, geometric, historical and structured forms to create unique hats and headpieces. 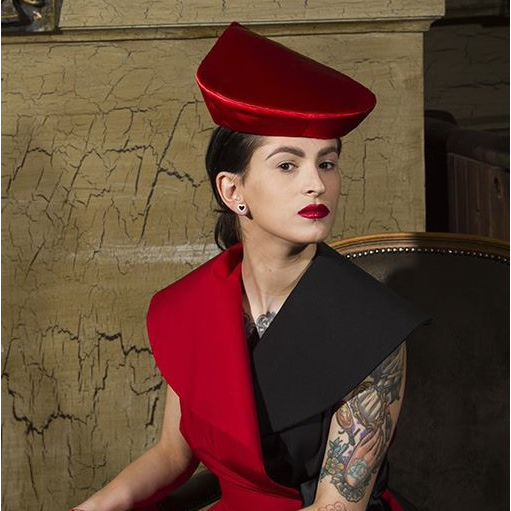 Based in Scotland, Toco is a milliner who initially trained at Bunka Fashion College in Japan, and then Kensington and Chelsea College in London. She won first prize in the Feltmakers Design Awards. TocoFashion is about the fusion of traditional techniques and innovation. 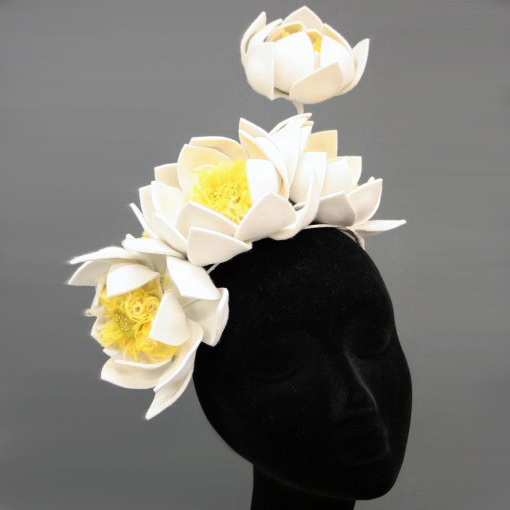 Awon Golding is an award-winning London-based milliner who has spent an eclectic youth in India, Hong Kong and England. She draws on her multicultural heritage to inspire dynamic headpieces. Working with bold shapes to create dramatic silhouettes, each piece is handcrafted in her London studio incorporating modern materials and traditional techniques. Showcased during London Fashion Week as part of the Headonism initiative, The Season Hats is a modern brand of headwear that is luxurious and contemporary. Designed by award-winning milliner, Paul Stafford, The Season Hats offer headpieces and their signature folding hats for special occasions. London’s brightest new millinery star, Camilla Rose, specialises in beautiful, sculptural handmade hats and headpieces for every occasion. Founder and creative director Camilla Robertson, designs and hand crafts her striking hats and headpieces from her studio in Fulham. Monique Lee is a London based award winning MA Fashion Womenswear Design graduate from London College of Fashion. All hats are designed by her and have been hand-crafted in England since 2013. Her hat designs were featured alongside great artists Philip Treacy and Stephen Jones in over 150 magazine editorials. Having trained at the London College of Fashion in millinery, Julian Garner understands the drama that headwear can create. A look can be tailored to exactly what the individual desires. Each item is a one-off piece, hand-made in the United Kingdom. Giulia Mio is an Italian award-winning couture milliner devoted to making sophisticated hats and headpieces from the finest materials, with an immaculate finish. All her creations are unique, sculptural and delicate, designed to flatter the face and enhance the personality of the person. 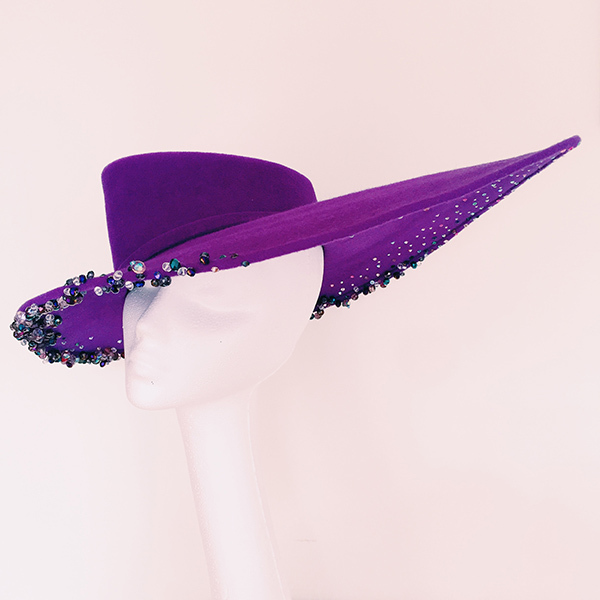 Louise is a British-Australian milliner specialising in unique handcrafted hats and headpieces. Originally trained in Textile Design and Printing at Sydney’s prestigious Fashion Design Studio Ultimo college, Louise brings a keen eye for print, colour and composition to her millinery. Miss Mirshka is a London-based milliner who strives to make beautiful handmade hats and headpieces. She draws inspiration from vintage and contemporary fashion so her aesthetic swings between classic designs with beautiful trims to more innovative designs for a dramatic result.